Leonardo DiCaprio says he's working with authorities to return any funds or donations to his charity that may have ties to a multibillion-dollar Malaysian embezzlement case. A spokesperson for the actor said in a statement that DiCaprio initiated contact with the Department of Justice back in July after learning through media reports about legal action being taken against some of the people involved in the making of his 2013 film, "The Wolf of Wall Street." Since then, he has been working with authorities "to determine whether he or his foundation, the Leonardo DiCaprio Foundation (LDF), ever received any gifts or charitable donations directly or indirectly related to these parties, and if so, to return those gifts or donations as soon as possible." "Both Mr. DiCaprio and LDF continue to be entirely supportive of all efforts to assure that justice is done in this matter," read the statement. "Mr. DiCaprio is grateful for the lead and instruction of the government on how to accomplish this." DiCaprio's statement comes days after Switzerland-based charity The Bruno Manser Fund called for the actor and activist to step down from his role as a United Nations Messenger of Peace for climate change if he did not clarify his alleged ties to the case. The star has held his U.N. title since 2014. The 1MDB scandal is an ongoing probe into the alleged misappropriation of billions of dollars through a fund called 1Malaysia Development Berhad. The money in that state-owned fund had been intended for global investments that would generate profits to be funneled back into the country and promote economic development. Instead, corrupt officials and financiers are being accused of using that fund as a "personal bank account," according to U.S. Attorney General Loretta Lynch. 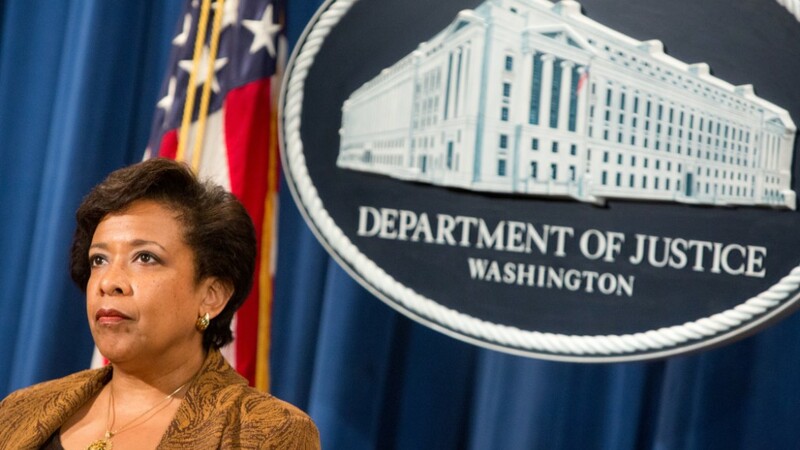 In July, Lynch announced a civil lawsuit that aimed to recover some of the assets acquired with laundered money funneled through American banks. Profits from "The Wolf of Wall Street" were among the assets the DOJ attempted to seize. Investigators allege a large portion of the movie was funded by a production company with ties to the 1MDB scandal. DiCaprio's environmental charity is also among the businesses that possibly received 1MDB money, through donations made by persons accused of being connected to the case, according to The Hollywood Reporter. "Out of respect for its ongoing investigation, which has touched many charities, hospitals and individuals, who may have been unwitting recipients of funds now in question, Mr. DiCaprio has refrained from public comment throughout this period of investigation," the statement added. "He will continue to limit his statements on this matter."